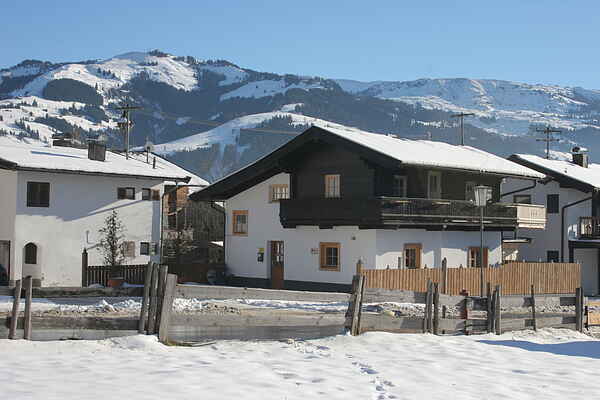 Chalet Sonnkitz is very near Kirchberg in Tyrol's town centre. You will enjoy sole occupancy of the detached chalet, so privacy is guaranteed. The chalet's position is perfect. The free ski-bus will take you to the Kirchberg ski-lifts within a few minutes. Kirchberg's town centre with its restaurants, shops and après-ski is within easy walking distance. You can forget the car for the holiday. The chalet is on the first and second floor. It was completely renovated in 2009. The result is superb. The chalet is furnished in a modern style and everything is new. There is a spacious living and there are four bedrooms and two modern bathrooms. The new open kitchen looks wonderful and has superb built-in equipment. If you appreciate luxury, privacy and an excellent position, this is the holiday home you've been looking for.